I was born into a family with seven children – three boys and four girls. My parents are Mr. and Mrs. Leong Tat Chee. I was born on Monday, 9 March 1936 in Malacca. 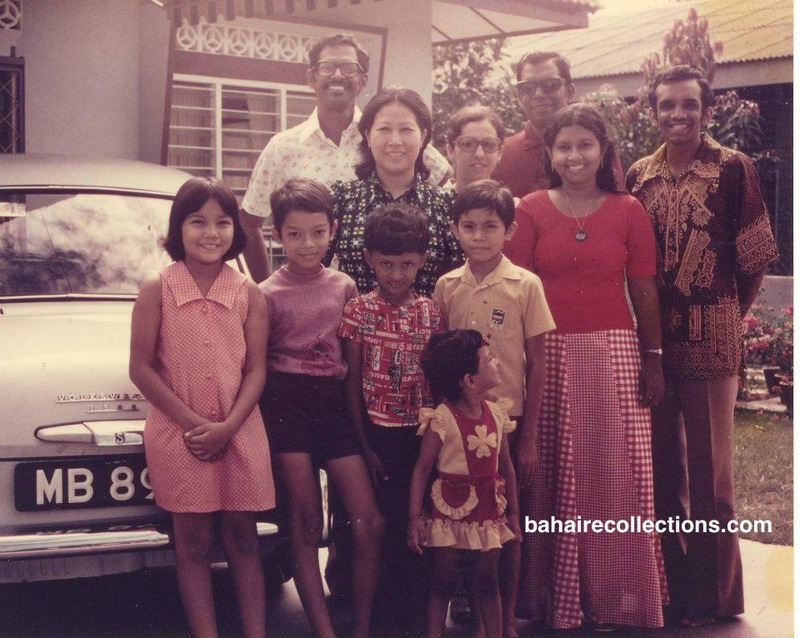 All the seven of us were born in the Municipality quarters at Pengkalan Rama in Malacca town. My father was a Health Officer in the Malacca Municipality. We belonged to a middle-class family, not too rich and not too poor. Life was quite comfortable for us with careful planning and budgeting by my parents. My eldest brother Leong Ho Chiew was a high-ranking police inspector, my second brother Leong Ho San was a computer programmer and my youngest brother Leong Ho Min was attached to an insurance company. I have lost my eldest brother, Leong Ho Chiew and my youngest brother, Leong Ho Min – both to cancer. Leong Ho Chiew passed away on Friday, 21 July 1997 while Leong Ho Min passed away on Monday, 12 June 2006. They both died at the age of 62. My second brother, Leong Ho San, is married to Mariette, daughter of the late Hand of the Cause of God, Collis Featherstone and they live happily in Australia. I am the only teacher by profession in the family. My three sisters, Annie Leong Wai Heong, Nelly Leong Wai Yeng, and Mary Leong Wai Yoon were all nurses. Nelly passed away on Monday, 11 May 2015 while Annie passed away on Saturday, 13 May 2017 in Segamat, Johore. I was born as Lily Leong Wye Heng, but when I got married, I took my husband’s surname Chinniah as my official surname too. So, my official name is Lily Chinniah nee Leong Wye Heng. I was educated in the Malacca Methodist Girls School, until standard 9 (form 5 now). Then I joined the normal class and became a teacher. In those days, a normal class was equivalent to a teachers’ college. I love to teach and that was the reason why I became a teacher. I also liked to teach English. So, I chose my option for teaching English as a second language. I was teaching at the Masjid Tanah English School in which Inbum Chinniah was headmaster, for 5 years. 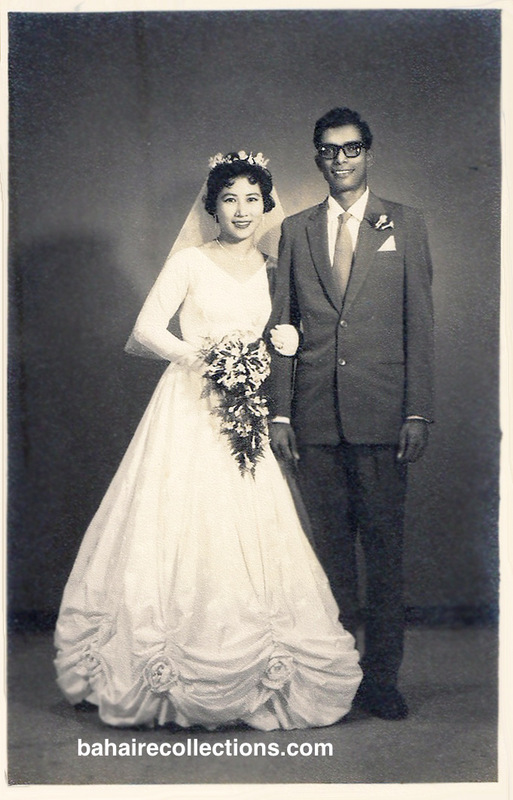 During my fifth year in school, we got married, on Saturday, 9 April 1960. Six months after marriage, Inbum left for England as he was chosen to attend a special one year course on how to handle a school for form 3 dropouts. Through our marriage, God blessed us with four children, three boys and one girl-the best children one could dream for. Our eldest son, Nabil, was born on Sunday, 5 January 1964. Our only daughter, Saffura, was born on Monday, 19 April 1965 and our third son, Soheil, was born on Thursday, 19 January 1967. All these three kids were born in the Malacca Hospital. 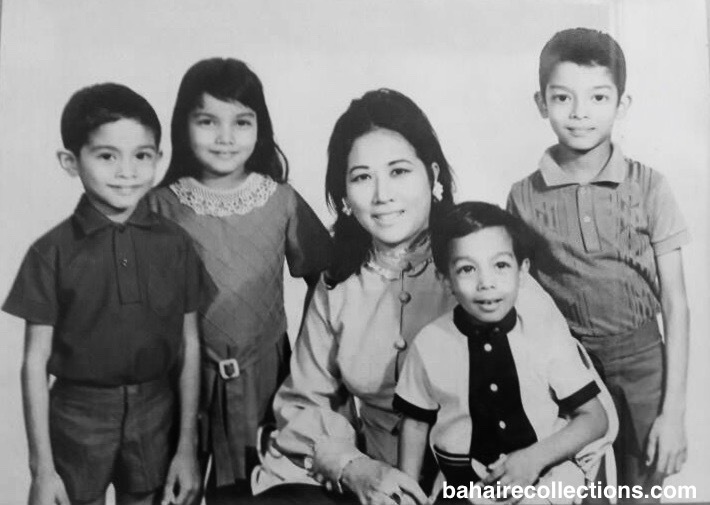 It was when we moved to Kuala Lumpur that Mehran was born in the University Hospital, in Kuala Lumpur on Tuesday, 8 July 1969 – during the time of the racial riots in Kuala Lumpur. When Mehran was born, the curfew was still on. So, you can imagine what a difficult time we had. I have ten grandchildren -six boys and four girls. My three sons are all overseas. Nabil and family are based in Jakarta, Indonesia. Soheil and family have migrated to Australia. They live in Perth. Mehran went to Cambodia more than 10 years ago as a pioneer and he is still at his pioneering post in that country. Saffura and her family are here in Kuala Lumpur. They are living in another part of the city, which is quite far from where I am. Letchimi was 12 years old when her sister, with whom she was staying, told her to run away from the house as her brother-in-law wanted to take her as his second wife. Her sister gave her some money and taught her how to get to the Jasin Court. Letchimi somehow managed to reach the court by bus and there she met this nice young man, by the name of Kannappan who was a court interpreter. Kannappan took Letchimi to see the social welfare officer and the latter did not know what to do with her. So, they put her in the Sungai Leleh School for problem girls. Letchimi was there for a few months. Inbum was a great psychologist. He said, “What’s the point of calling yourself a Bahá’í and you can’t do something good for a homeless child. If you give a roof over the head to this poor child, you will be the apple of the eye of Bahá’u’lláh.” At once I agreed. I had no choice. I was a Bahá’í. But I said, “She comes into the family as a helper, not as my daughter.” So, we had to appear before the court magistrate to sign some papers. The social welfare officer came to the house to check on her every month and at the end of 3 months, we had to appear before the magistrate again. We were interviewed separately. First, the magistrate met with Letchimi and asked whether she was happy in our home. She said, “Yes.” Then he asked her whether she would like to live with us until she was 18. Then she could leave. She also said, “Alright.” I was interviewed next. The magistrate asked me whether I would like to keep her. I said, “Yes, but not as my child, as a helper in the house. I would take care of her and see to all her needs. I will also put $20 in the bank for her every month.” My proposal was agreed by the magistrate and that was how Letchimi came to live with us. Inbum finally got Letchimi from the social welfare department through the court in 1966 in Malacca. 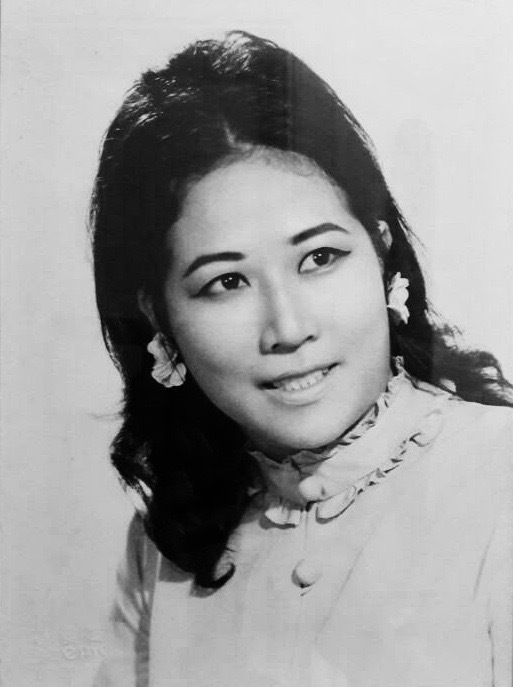 In 1966, when Saffura was one year old, she was scalded by the maid, Kwai Ying. Saffura was admitted to the General Hospital in Malacca, for two weeks. I stayed in the hospital with her to take care of her. It was at this time Letchimi came to our house. When Saffura was discharged from the hospital, Letchimi helped to take care of her. And she has been with us since then. I feel so blessed to have this faithful and loyal girl with me. Not only does she love me, but she also loves all my 4 children and all my grand-kids. Letchimi is certainly a great person. Of course, we have our misunderstandings, but we soon forget and forgive whatever grievances we have. We consult about everything in the home, from what kind of dishes she should cook to what kind of birthday gifts to buy for the grandchildren. In fact, we consult on everything. 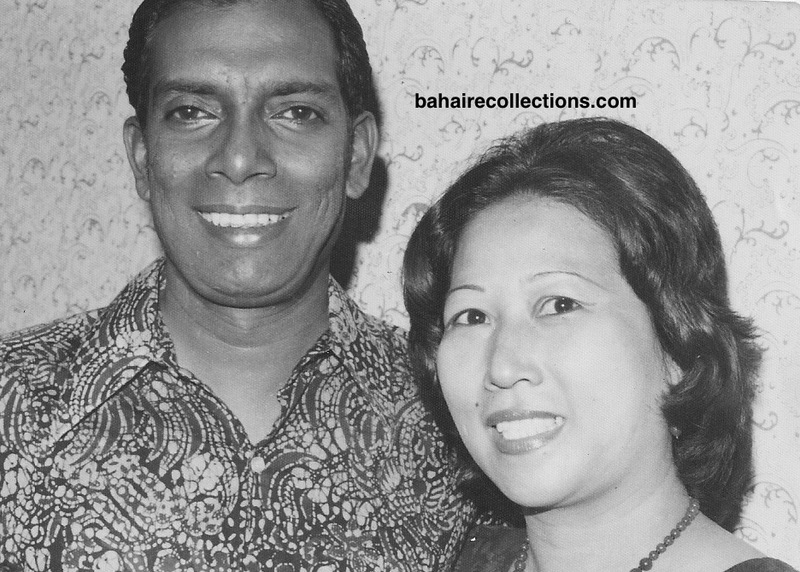 In 1967 we were joined by one more housemaid by name of Ah Lan. She came to take care of Soheil who was one year old. She stayed with us for about ten years. She found a boy and married and then left us to join her husband. She chose not to marry and I never forced her. We are very happy with each other. She is like a daughter to me and I love her like a daughter. Letchimi who has been with me for nearly fifty years lives with me. She came to us when she was 12 years old and now she is 63. She is a very faithful and loyal person. Inbum had willed part of his property was written in her name. Today her name is in my will and my one wish now is should I die before her, I hope one of my children will take care of her and love her like a sister. Now in my heart, I have to thank Inbum over and over again for Letchimi. She has been such a great help to me and my family all these years. She takes good care of me. In fact, we take good care of each other. When Letchimi turned 15, She became a Bahá’í. She accepted the faith on her own. She is so devoted to the Cause. Letchimi speaks to all of us in the Malay language. I have been blessed in many ways. I have been blessed for becoming a Bahá’i and a having good Bahá’i family. However, the greatest inspiration and guiding force in my life have been my late husband. Inbum lived the Bahá’í life and set an example for me to tread. 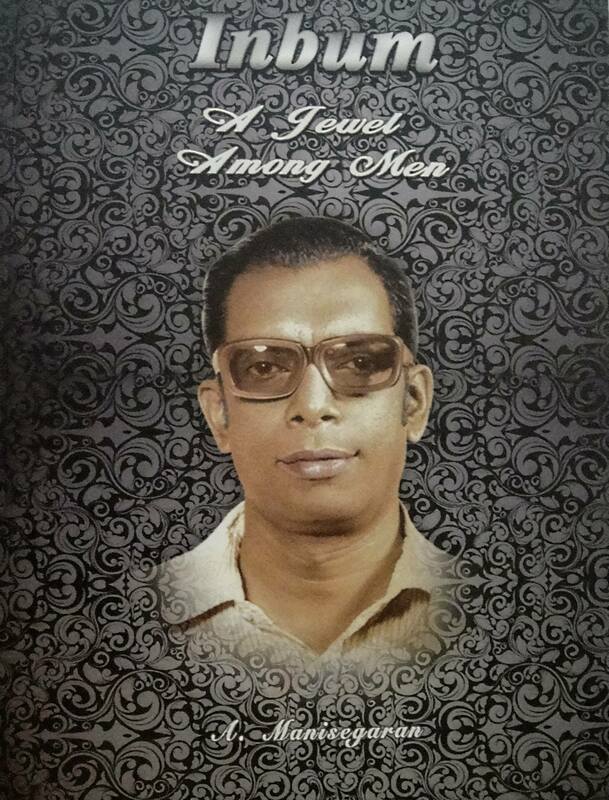 Manisegaran, the renowned Bahá’í historian, and one who is more than my own brother has written a book “Jewel Among Men” on my personal request. This book captures vividly the life that Inbum led. When we moved from Jasin to Kuala Lumpur, we took up residence in several places. We started off with residing in Jalan Seroja, and then Jalan Terkis behind the National Bahá’i Center. Then we moved on to Japan Air Kuning and then to Jalan Air Panas. After that, we moved to Zoo View, from where we moved into the Government quarter in Jalan U Thant. At Jalan Terkis, behind the first National Bahá’í Center in Setapak. Ah Lan at extreme left and Letchimi at extreme right. Our home was a Bahá’í home in the true sense of the word. With a husband like Inbum, I had no choice but to follow his wishes to make everyone welcome. He used to say, “before we became Bahá’í our family was the world; once we become Bahá’ís the world is our family” and Inbum himself practiced what he preached. At one time, we 8 or 9 Bahá’í youths stayed with us, and our house was turned into a hostel for all intents and purposes. It was a very difficult time for me looking after all of them who had become our family members, along with my own four children. Among those who stayed with us at different times or overlapping times were Ganesa Murthi, Isaac De Cruz, Ravichandran, Yin Thing Shih, Govindasamy and Selvarajah. This does not include those who stayed over weekends. When the National Assembly meetings were on, some of the members would pass nights in our home since the former National Bahá’í Center was walking distance from our house. The atmosphere was like a mini-summer school in session. But in a way, I was happy too. I felt I could be of service to the Cause in this way. I would take Ah Lan, our maid to the wholesale market at Selayang every Saturday morning starting from home as early as 6:30 in the morning to buy fish, meat, vegetables and fruits in bulk. We needed to buy so much stuff that the fishmongers, fruit sellers, butchers and vegetable sellers asked whether I was running a hostel. And that was the reality! The youths who stayed with us would pay whatever they could afford, and very often, what they gave was very little. Inbum warned me that I should not ask them for anything, knowing that most of them were poor. I think Baha’u’llah must have helped me. Just imagine, to feed so many mouths besides my own family and Ah Lan and Letchimi on so little money! Now that I think back to those days, I really don’t know how I had managed! It was a miracle! I definitely wish to set the clock backward to once again enjoy those days. We always had a constant flow of friends into our home. Bhaskaran, Saro, Ravichandran, and Ravi were among them. Inbum never left me alone. He would take the family to all Bahá’í activities he went to. He could not take separation from the family if it involved too long a period. The most painful part was when Inbum had to go to Tanzania for 6 months of travel teaching in 1972. Hand of the Cause of God Dr. Muhajir paid a visit to Malaysia and made a personal appeal for Inbum to leave for Tanzania. Dr. Muhajir even visited me at my house to bless the teaching trip Inbum was about to undertake. The love Inbum and I had for Dr. Muhajir was so overwhelming that could not refuse an appeal coming from so august an institution. Those six months were really painful for both Inbum and the children. Inbum requested me to take a portrait photo of myself, and he took a family photo to be kept in his wallet while away in Africa. The photo of me that he took along to Africa is the head photo in this story. My children and I kept ourselves busy in Bahá’í activities. Some loyal and faithful friends of Inbum kept visiting us to cheer us up. Even then, Inbum was very visibly missed. Farewell party for Inbum, 1972. But the greatest pain was when he left me and this world for good. Inbum used to tell me he would live very long- long enough to see our children get married and see their children as well. After 20 years of marriage and 4 children, I suddenly lost Inbum to a heart attack on Tuesday, 5 February 1980. I cannot describe how badly devastated I was, what great difficulties I experienced and the insurmountable sorrow that overwhelmed me. I just can’t put in words the difficulties that engulfed my life without Inbum. My life was one big sorrow and full of vacuum. With no money in the bank, I was told to surrender the Government house on Jalan U Thant to the Ministry of Education. Under all these insurmountable stress and strain, it remains a wonder how I did not go crazy. It was through constant and ardent prayers that I was able to cope with all these difficulties. If not for my two brothers-in-law, who helped me by giving me financial aid, I really didn’t know how I would have survived. 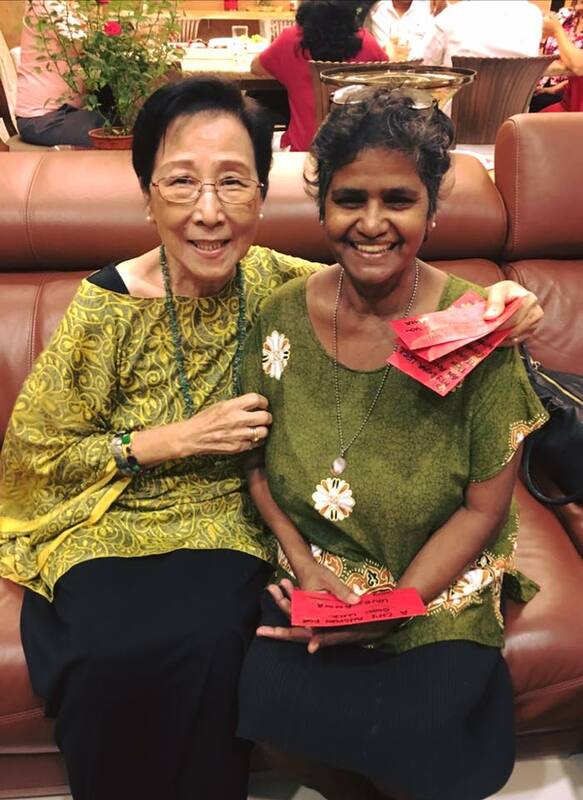 Mary’s husband, Dato Dr. Dharmalingam contributed RM 200 per month and Annie’s husband, Tan Tee contributed RM 100 also per month to help with my family expenses, for at least a year until which time I could receive Inbum’s pension. Then I told them they need not send me the money anymore. I could manage. Till today I feel so grateful to my two brothers-in-law for their financial help, without which I really don’t know how I could have managed. My eldest brother, Leong Ho Chiew also helped a lot. Whenever he came to visit, he would bring ample food for the children. Sometimes he would even bring a large salt fish, which was my favourite! My mother too, helped me a lot, not only emotionally, financially and spiritually but in every way possible. She was a pillar of strength and a great supporter of everything I did. I still remember when I had to sell Tupperware, Amway, costume jewelry, semi-precious stones, and printed cloth to supplement my home expenses, she was there going with me to Government offices, before school to get orders and she was there to help with the delivery of these stuff. She was not young. So often she would take me out to eat outside food as she knew I could not afford to spend this kind of money. She received the pension of my father. My mother was a real gem. I was so glad that she had stayed with us for more than 10 years before she passed on. With her gone, I had lost a great pillar of strength and support. 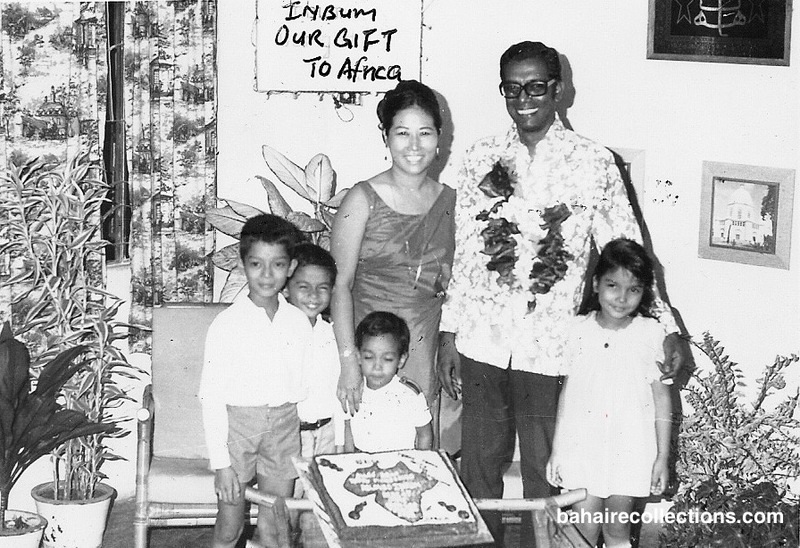 When my father passed away in October 1972, Inbum was pioneering in Tanzania. My mother was living alone in the Bahá’í center in Malacca. One night she had a fall and she called my husband’s brother-in-law Kumara Das to inform him what had happened. Kumara telephoned Inbum in Kuala Lumpur and the next day Inbum drove to Malacca. 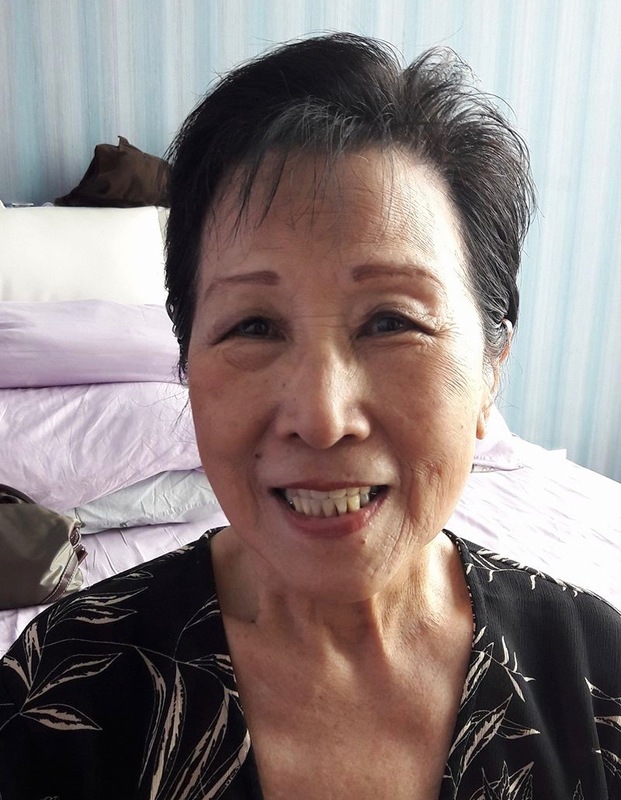 He told my mother just to pack her clothes and whatever things she needed and he was taking her back to Kuala Lumpur to live with us, I did not know my mother was coming to live with us. But I was so happy to see her. This is what my mother said to me, “When Inbum asked me to live in his house, I cried and cried. I told Inbum that if Lily had asked me, I wouldn’t have accepted, because to a Chinese to live with the daughter is a shameful thing. The mother should live with her son. But because the invitation comes from you I will go with you to Kuala Lumpur.” My mother also had asked Inbum “What if I should die in your house?” Inbum had said, “Mother, if you should die in my house, it would be a great honor to me and I assure you, many Bahá’ís will attend your funeral.” Nobody expected Inbum to go before my mother, almost 10 years earlier. When I was asked to vacate the government house, I went through a few kind-hearted people to appeal on my behalf and I was given permission to stay on in the Jalan U Thant house for 6 months, after which time, I had to leave. I was given a small, old and almost depleted and deplorable government house on Jalan Utara, off Jalan Imbi. When I first viewed this house with my mother, and I saw the horrible condition it was in, I just sat on the floor and cried and cried. My mother was a very wise person. She said, ”Don’t worry, Lily. At least we have a roof over our head. We can clean up the house and make it livable for us.” After hearing what she said, I decided to take the house. I did it up as much as I could. And we lived in it for nearly 13 years, till 3 of the 4 of my children graduated from the university. With loans and grants from The Kuok Foundation, The Lee Foundation, and the MIC students Loan Foundation, my three elder children could pursue tertiary education. But Mehran was not able to obtain any financial aid as all these organizations remarked that his siblings who were already working could help him. At that time, I was able to pay Mehran’s higher education fees. So he was able to obtain a law degree. I must thank Bahá’u’lláh with all my heart that my 4 children were able to complete their tertiary education. I know Inbum is taking care of them from the Abhá Kingdom. I have no doubt about this! So often I thought I couldn’t get through life without Inbum. Imagine, I had not reached my 44th birthday and Inbum had not reached his 48th birthday when he passed away. How was I going to survive with 4 young children, an aged mother, and a social dependent to take care of? I know it was my prayers and faith in Bahá’u’lláh that saw me through. Of course, it was a big struggle when the children were growing up. Their needs were great and I did not have much money to spare. Somehow, we managed to get through all those difficult times. At several moments of heedlessness, I prayed to Inbum, asking him to intercede on my behalf to solve my problems. And the prayers worked, and they worked miraculously. I was very worried about my son Soheil who was not getting to know any girl at the age of his marriage when all other children were settled. One day I spent a long time seeking the intercession by Inbum to get him a girl. A lovely Bahá’í girl who was a close friend of my daughter Saffura came into the picture. And that is Bernice. At the marriage which I was conducting, I mentioned how I got the intercession done by Inbum. I am very clear Inbum is always there to assist me. To others, Inbum may have gone, but to me, he is still very much with me and within my soul. Those who had not moved closely with Inbum had no chance of knowing him. There was a dear friend of mine who is no more around. She started to serve with Inbum on the same institution. That was the first time she got to know Inbum well. One day she told me, ” You know Lily, you had spiritual eyes with which you were able to see Inbum much ahead of many of us. Otherwise, you would have had too many competitors to win over Inbum. This is certainly not a boasting statement, but just to say that once people met Inbum they would never want to lose his friendship. We were not rich. When I got married Inbum had a scooter on which I followed him for teaching. At a later time, he bought a second-hand Volkswagen car. And then another second-hand car. Because of old age, the cars often broke down, but we had no money to buy a new one. Throughout my life with Inbum, we never bought a new car. Inbum told me, “Lily, this is our life. And we must live for ourselves, and that too within our means. We should never be caught by the rat race that is eating up society.” Despite living a simple and thrifty life there was a happiness that I could not describe. Inbum used to tell me often that he was not rich in wealth, but was rich in having good friends. How true that had been. The day Inbum passed away several friends came to pay their last respects. Most of them who are still alive continue to visit me and give any support I may need. My life is so much better now. I have two pensions to live on. They are not much, but enough for me and Letchimi. And with some financial aid from my son Nabil, I can say I live comfortably. I know if I should need extra money, the other children will help me, but so far, I am alright. My two grandsons are serving in the Holy Land as volunteers. My health is not one hundred percent stable, but I feel so grateful to Him that I still could do marketing and shopping for provisions. Recently I sold off my car as I am not able to drive as before, but Bahais are there to take me around in their cars when there is a need. I am also blessed to have Letchimi with me who does all the cooking, not only for me but for my children and grandchildren who come to visit. I am better than so many old people around who don’t even have a roof over their heads. I feel so contented and happy. I have an apartment to call my own. I am one lucky woman! Thank you, Bahá’u’lláh! At the time of writing this, I am 81 years old. When I look back how I survived so many disastrous events in my life, I can say it is the immense mercy of Bahá’u’lláh. I can bravely add that it was Inbum who had been helping me out from the invisible world. His life has been full of meaning and highly educational for me. All his meaningful and message carrying jokes, his talks and advice he had given at Bahá’í gatherings, his personal conversation with me, and his actions and deeds that spoke louder than his words – all these seem to be meant for me as well. On many difficult situations, I take the examples of how he would have reacted and responded. The greatest happening in my life is to have married Inbum. I am eternally grateful to Bahá’u’lláh for giving me Inbum as my husband. He was my husband, mentor, guide and everything. I am more than convinced that I was guided to marry him, through the instrumentality of Jeanne Frankel who sewed the seed. I never had any desire to re-marry after his passing as I was very sure that even if I had searched the world over, I would never have been able to find someone like Inbum. He was not only a Jewel Among Men but the very jewel in my life! Inbum, the very jewel in my life!